Money back guarantee. Book your log delivery when you buy firewood online. Only low moisture firewood logs for sale. 100% British hardwood logs. Kiln dried logs delivered to Birmingham & West Midlands. Welcome to the destination to buy kiln dried & seasoned firewood logs online. Firewood delivered in bulk free to Birmingham, West Midlands. Our logs are ready to burn because they’ve been kiln dried. Top tip, buy your Firewood in warmer months to benefit from discounts. Here at Firewood Fund, we truly are log crazy about kiln dried logs. 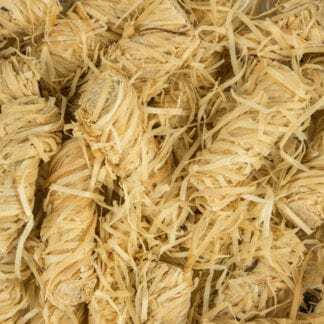 What’s more we are now sharing this passion online, so you can purchase different quantities of them on the internet easily and quickly. Order your hardwood logs for the winter today and you can have these phenomenal logs delivered straight to your home in Birmingham or for that matter, any other location within the Midlands. We pride ourselves on pushing expectations higher than anyone else, when it comes to buying logs online. 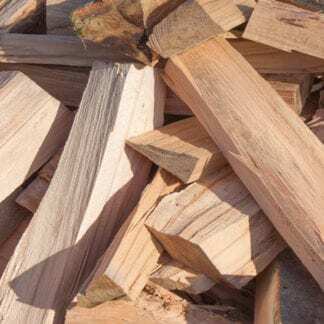 You might be wondering – ‘why should I choose Firewood Fund for my next lot of kiln dried logs?’ Well, fortunately there are quite a few reasons! √ We’ve options. Book your log delivery date. Buy firewood the convenient way. Order online then get your kiln dried hardwood logs delivered to your address. Why struggle loading your car at the supermarket or garage? Buying logs in small quantities is expensive. Having bulk firewood delivered is the best value way to buy logs. We can supply you a kiln dried logs pallet direct to any Birmingham or West Midlands address. Our bulk bags are made up of a mixture of British hardwood logs from a natural thinning process. 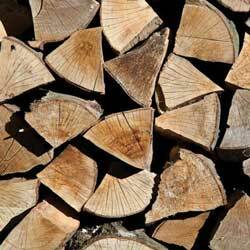 The typical firewood types are: Kiln dried oak logs for sale / Kiln dried ash logs for sale / Kiln dried beech logs for sale. 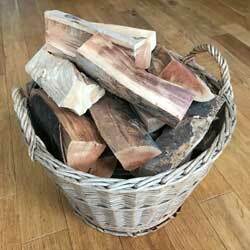 √ Firewood Logs For Sale ideal for catering use in Pizza Ovens. It’s a fact that the weather will blow cold down in Birmingham, so surely you need a solution for this? 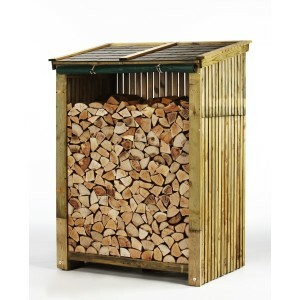 Why not buy some of the finest kiln dried logs online from Firewood Fund? Acocks Green, Aldridge, Aldersley, All Saints, Allesley, Allesley Green, Allesley Park, Alton,Alum Rock, Alumwell, Amblecote, Ashmore Park, Aston and Audnam. Ball Hill, Balsall Common, Balsall Heath, Barr Beacon, Barston, Bartley Green, Bearwood,Beechdale, Bell Green, Bentley, Bentley Heath, Berkswell, Bickenhill, Billesley Binley,Birchfield, Bilston, Birmingham, Bishopsgate Green, Blackheath, Blakenall Heath, Blakenhall, Blossomfield, Bloxwich, Boldmere, Bordesley, Bordesley Green,Bournbrook, Bournville, Bradley, Bradmore, Brandhall, Brandwood, Brierley Hill, Bromford, Bromley, Brownhills, Brownhills West, Browns Green, Buckland End,Buckpool (Wordsley), Burton-on-Trent and Bushbury. Caldmore, California, Canley, Cannon Park, Castle Bromwich, Castle Vale, Castlecroft, Catherine-de-Barnes, Chadwick End, Chapelfields, Charlemont and Grove Vale, Chelmsley Wood, Cheswick Green, Cheylesmore, Chinese Quarter, Chuckery, Claregate, Clayhanger, Clifford Park, Coalpool, Coleshill Heath, Colesley,Compton, Convention Quarter, Copt Heath, Cotteridge, Coundon, Courthouse Green, Coventry and Cradley Heath. Darlaston, Deritend, Dickens Heath, Digbeth, Dorridge, Duddeston, Dudley and Dunstall Hill. Earlsdon, Earlswood, Eastern Green, Eastside, Edgbaston, Edgwick, Elmdon, Elmdon Heath, Erdington, Ernesford Grange and Ettingshall. Falcon Lodge, Fallings Park, Finchfield, Finham, Five Ways, Foleshill, Fordbridge, Fordhouses, Four Oaks, Fox & Goose, Frankley and Fullbrook. Gannow Green, Garretts Green, Gibbet Hill, Goldthorn Park, Gosta Green, Graiseley, Gravelly Hill, Great Barr, Greet, Gun Quarter and Guns Village. Hall Green, Halesowen, Hamstead, Handsworth, Handsworth Wood, Harborne, Harden, Hampton-in-Arden, Harden, Hawbush, Hawkesley, Hay Mills, Heath Town, High Heath, Highgate, Highgate, Hill Hook, Hill Top, Hillfields, Hockley, Hockley Heath, Hodge Hill, Holbrooks, Horseley Heath, Hurst Green and Hurst Hill. Kates Hill, Keresley, Kings Heath, Kings Norton, Kingshurst, Kingstanding, Kingswinford, Kitts Green and Knowle. Ladywood, Lanesfield, Langley Green, Leamore, Lee Bank, Little Aston, Little Bloxwich, Little Bromwich, Longbridge, Longford, Low Hill, Lozells, Lye, Lyndon and Lower Farm Estate. Maney, Marston Green, Masshouse, Mere Green, Meriden, Merridale, Merry Hill, Minworth, Monkspath Street, Monmore Green, Moseley, Mount Nod and Moxley. Nechells, Netherton, New Frankley, New Invention, New Oscott, Newbridge and Northfield. Oakham, Ocker Hill, Old Hill, Old Oscott, Oldswinford, Oldbury, Olton and Oscott. Packwood, Palfrey, Park Hall, Park Village, Pedmore, Pelham, Pelsall, Penn, Penn Fields, Pensnett, Pendeford, Perry Barr, Perry Beeches, Perry Common,Pheasey, Pleck, Portobello, Princes End and Pype Hayes. Quarry Bank, Queslett and Quinton. Radford, Rednal, Roughley, Rowley Regis, Rubery, Rushall and Ryecroft. Saltley, Sandwell, Sarehole, Sedgley, Selly Oak, Selly Park, Shard End, Sharmans Cross, Sheldon, Shelfield, Shenley Green, Shire Oak, Shirley, Short Heath,Short Heath, Signal Hayes, Silhill, Small Heath, Smethwick, Smithfield, Smith’s Wood, Soho, Solihull, South Yardley, Sparkbrook, Sparkhill, Spon End, Spring Hill,Springfield, Stafford, Stechford, Stirchley, Stoke, Stoke Heath, Stoke Aldermoor, Stone, Stourbridge, Streetly, Styvechale, Summerhill and Sutton Coldfield. Temple Balsall, Tettenhall, Tettenhall Regis, Tettenhall Wightwick, Tettenhall Wood, The Delves, The Straits, Thimble End, Tidbury Green, Tile Hill, Tipton, Tividale,Tower Hill, Tyburn and Tyseley. Wake Green, Wall Heath, Walmley, Walsall, Walsall Wood, Walsgrave-On-Sowe, Ward End, Warley, Warwick Bar, Washwood Heath, Wednesfield, Wednesbury,Weoley Castle, Weoley Hill, West Bromwich, West Heath, Westwood Heath, Whitehouse Common, Whitley, Whitlock’s End, Whitmore Reans, Whoberley,Wightwick, Willenhall (Coventry), Willenhall (West Midlands), Winson Green, Withymoor Village, Witton, Wollaston, Wollescote, Wolverhampton, Wood End (Coventry), Wood End (Wolverhampton), Woodgate, Wordsley, Wren’s Nest, Wyken and Wylde Green. Yardley, Yardley Wood and Yew Tree. Have you been searching for a local wood burning stove retailer? Not only looking for logs for sale? Unsure about which Wood Burning Stove to buy? We recommend burning our kiln dried logs for sale on a Stovax Stove.